There are so many cultural and historical sights in the British capital of London that hardly a few weeks are enough to explore them. 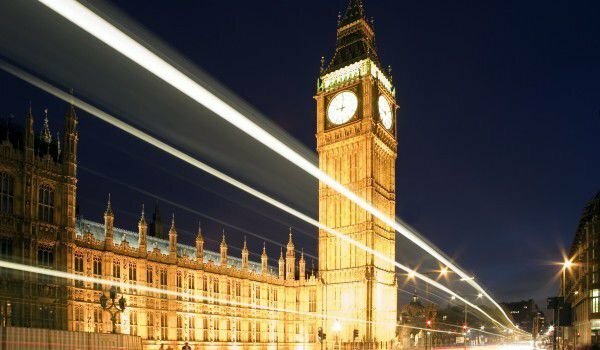 The emblematic places of London are, English Parliament, Big Ben and Westminster Abbey, who built an incredible complex of Westminster Palace. The complex with its spectacular architecture is headed by Big Ben which is located along the banks of the Thames River, in the most relevant part of London - Westminster. Westminster Palace, Westminster Abbey and Saint Margaret Church were listed as UNESCO World Cultural Heritage in 1987. The British Parliament in London stems from the first Westminster Palace, which was built in the 13th century by Edward the Confessor. It remains one of the royal palaces of all English monarchs to the management of Henry VIII, when a devastating fire destroyed much of the building. After restoration the building was turned into the seat of government. In the following centuries a second fire was the cause of Westminster Palace to Grey in the beautiful Renaissance Gothic architectural style that we see today. One of the remarkable parts of the complex is around the unmistakable emblem of London, the tower of St. Stephen or better known as Big Ben. Actually Big Ben is the name of the bell, which is located in the tower, which is considered the largest bell, which is inserted into the clockwork. Big Ben is the clock tower that is part of the architectural complex of the Palace of Westminster. The unique appearance and impressive architecture of Big Ben won its fame to one of the most popular symbols of Britain. Quite often we can see Big Ben as a key participant in numerous advertisements, tourist brochures, in films, etc. The name of Big Ben comes from the name of its founder - Sir Benjamin Hall. The history of Big Ben began more than 150 years ago when the beautiful London clock tower was built in 1858. The triggering of the clock mechanism in Big Ben was officially on September 7th 1859. Big Ben height reaches to 61 meters and the clock stands at 55 meters above the ground. The minute hand on all four sides of Big Ben is about 4 meters long. In addition to its impressive grand size, Big Ben is renowned for its absolute accuracy. The London clock is checked twice daily from Greenwich Observatory. The face diameter is 7 m and the length of the arrows is 2.7 and 4.2 meters, hence why Big Ben has long been considered the largest in the world. Underlying each of the four faces is the incarnate Latin inscription - "Domine salvam fac Reginam nostram Victoriam Primam" or translated: "God keep our Victoria I”. The clock tower has five bells, which can be heard every 15 minutes. The loudest of them is exactly Big Ben, which notifies London every hour. This bell is considered the third most severe bell in England and has a record weight of 13.8 tons.